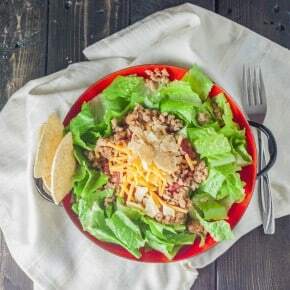 I’ve turned amazing lettuce wraps into salad in this recipe. 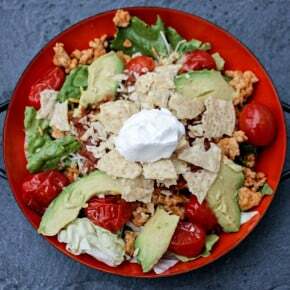 I was craving the crunch factor and this salad delivers on that, to the max! This is the Summer of Smoothies and Salads! 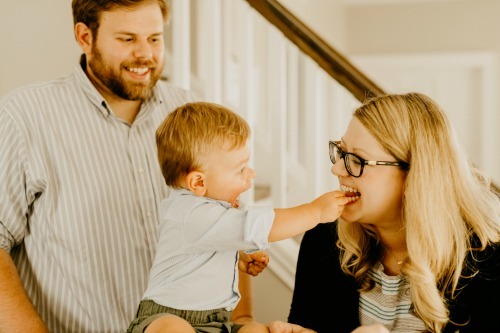 We’re having smoothies (like this C Boost smoothie) for breakfast and salads for lunch to get more fruits and veggies in our diet, and this salad is definitely part of it! 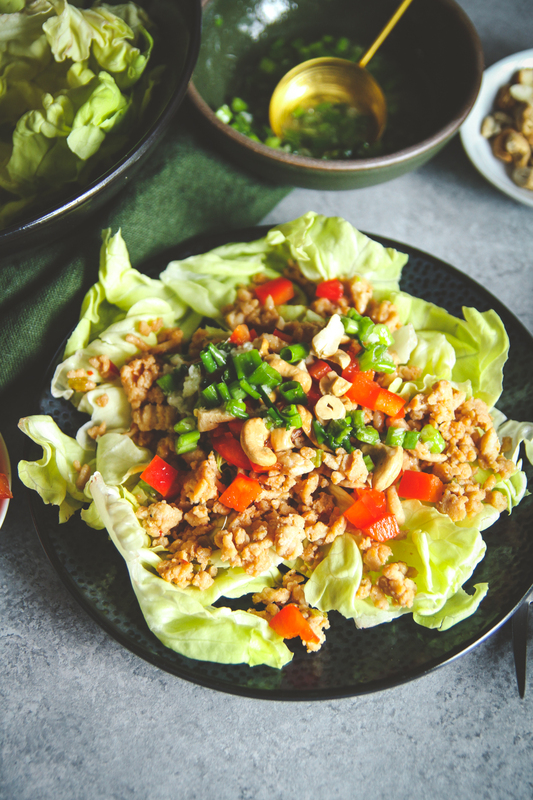 Have you ever wondered how to make lettuce wraps at home? 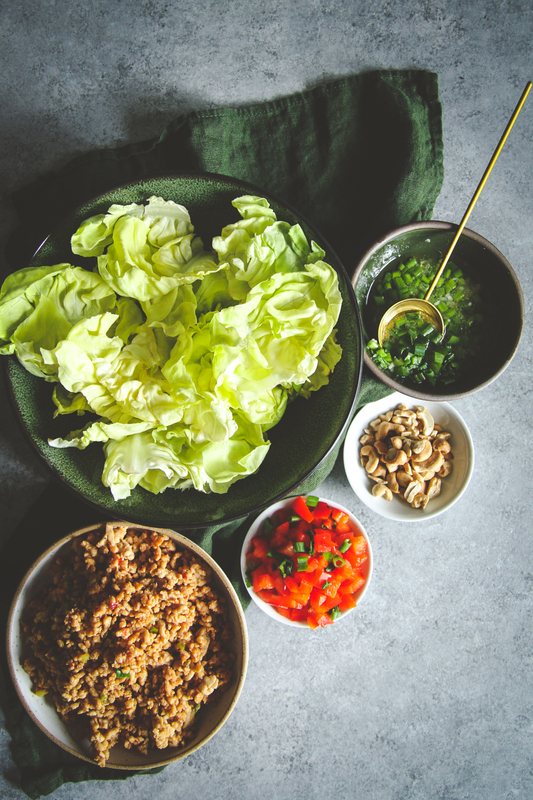 With this healthy Asian wrap salad you can make the recipe as either wraps, with lettuce as the ‘wrap’ or you can make it over a bed of lettuce, like I did here with salad, OR, you could serve it with a side of rice. If making this as wraps, you want to make sure the leaves of the lettuce are curved enough to hold the filling. I would recommend bibb, butter or boston lettuce. I actually found bibb salad already cut into cup/wrap size pieces sold in a container in the lettuce section of the grocery store. 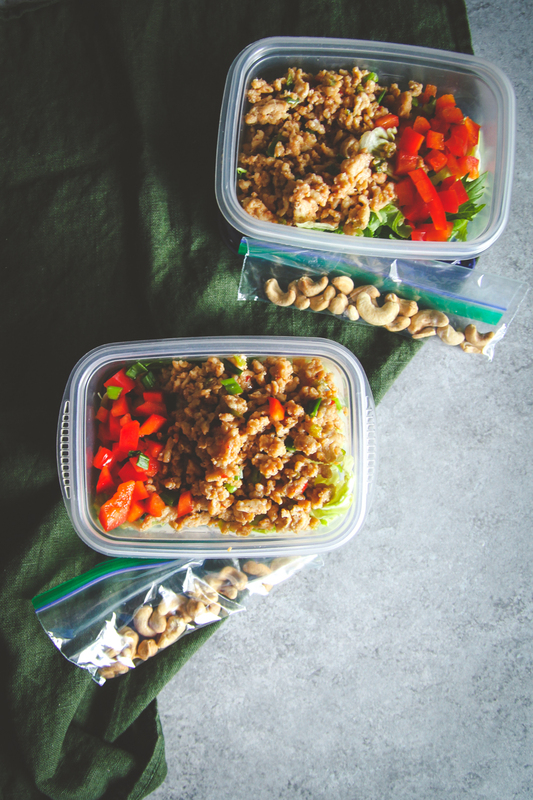 I used my recipe for Asian ground turkey and rice bowls as inspiration. This is the low carb, easy, healthy, salad-version. 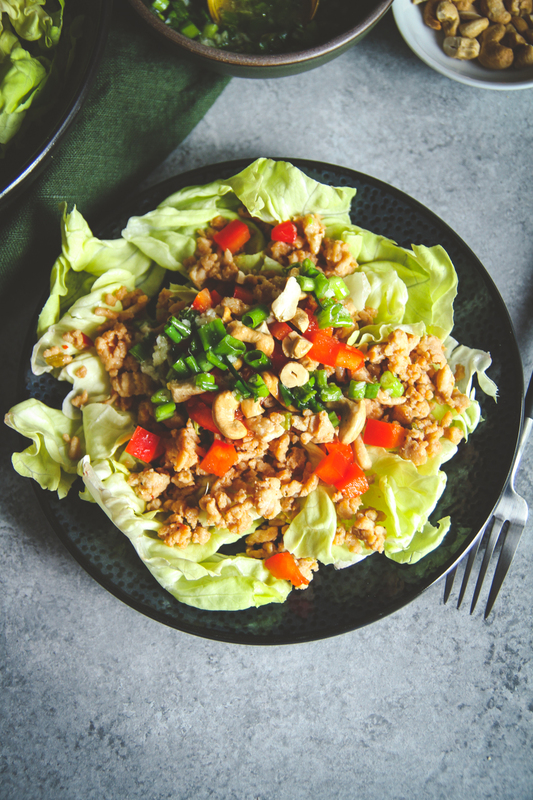 This healthy ground turkey Asian lettuce wrap salad is also perfect for meal prep, meaning you can make it ahead and then have it ready for meals to take to work! 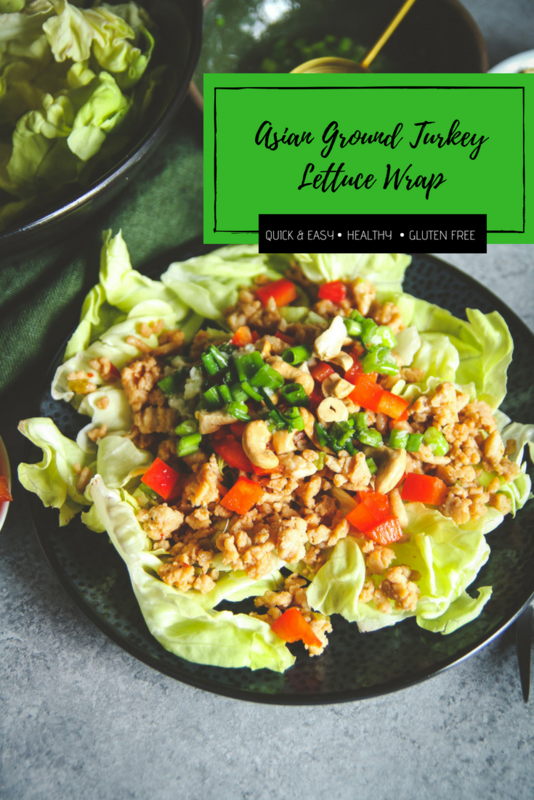 Next time you’re looking for an easy healthy lunch recipe, I ‘d recommend this Asian ground turkey wrap salad! In a nonstick skillet over high heat, add in ground turkey, breaking it up with a spatula as it cooks. Pour in soy sauce, brown sugar, sriracha and a pinch of salt and pepper. Cook for 10 minutes, or until ground turkey is cooked through and no more pink shows. Remove from heat as you prepare the rest of the salad. In a small bowl or container whisk together the rice wine vinegar, grapeseed oil, sesame oil, grated ginger, garlic, green onion, and pinch of salt and pepper. 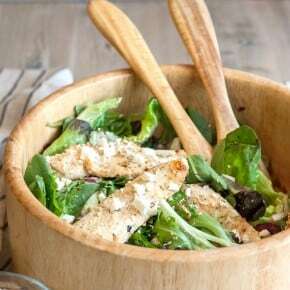 To make the salad divide the lettuce between 4 plates or containers (2 cups per serving). Top each salad with 1/4 of the ground turkey, 1/4 of the bell pepper and green onions. Spoon 1/4 of the dressing on top of each salad and enjoy!